I was very blessed to have two amazingly gifted teachers in music and drama at my secondary school. Looking back it cast some rays of light over my despondent lonely school days. So it was that as a teenager I found myself on stage singing in a chorus in Gilbert & Sullivan’s operas under the attentive eyes of Sadie Williams and Margaret Webster. It provided my first taste of musicals and drama, transporting me to a dimension of escapism that I thoroughly enjoyed. 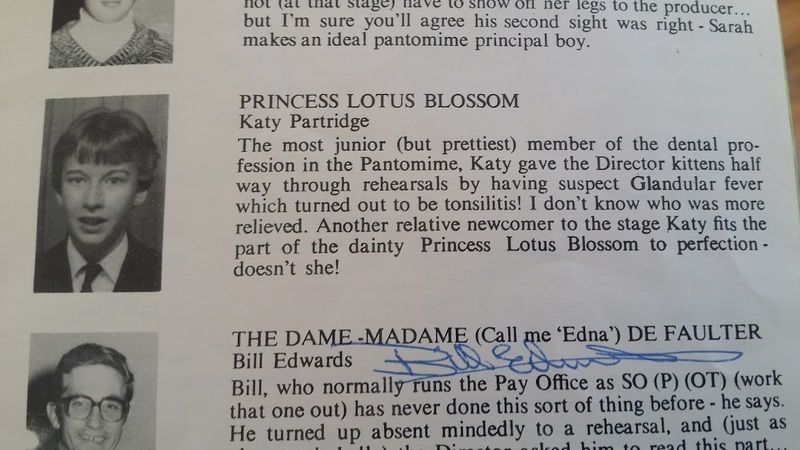 So much so that after joining the Women’s Royal Naval Service at the age of 17 I auditioned for Princess Lotus Blossom the lead role in Sinbad the Sailor. To my amazement I got the part mainly because all the other applicants couldn’t sing! 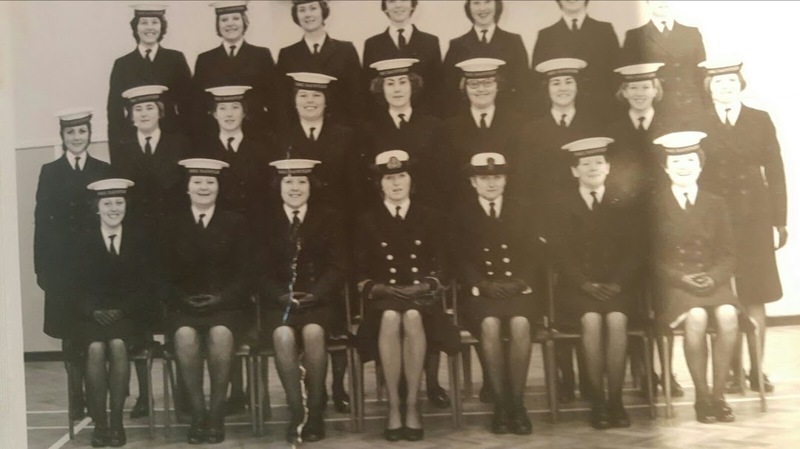 The director Captain Muxworthy who was also my boss at the Naval Dental School at HMS Nelson where I was training to be a Dental Nurse; turned out to be great fun to work with. 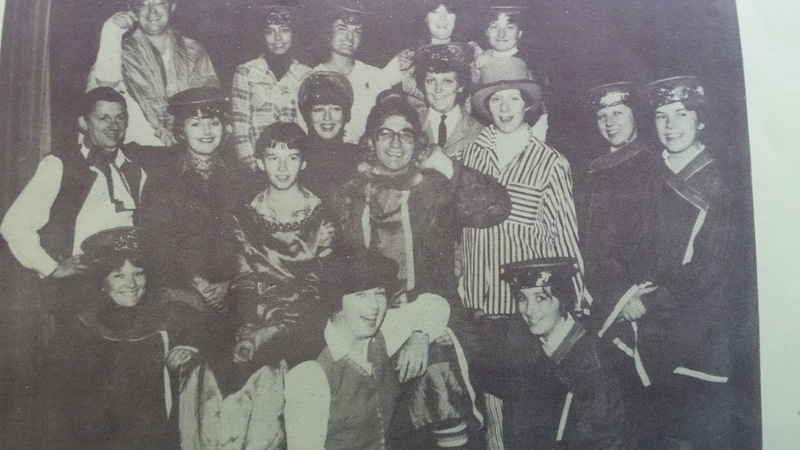 In fact it was fantastic mingling with all the Officers on and off stage particularly as the normal custom was officers and ratings do not mix. I found this out very early on in my naval career when I had a date with a young Lieutenant who was found out by his peers and that was the end of our budding romance. So after which my only role in life was to try and avoid them at all costs. The Naval custom stipulates that ratings (anyone who isn’t an officer) are required to salute all passing officers; so I made it my role in life to see if I could avoid doing this at all costs. I tried many tactics some of which worked better than others:- pretending to tie my laces or suddenly “forgetting” something important and turning round, pretending I hadn’t seen them and on two occasions even hiding behind the central parade ground flag mast! I have to say I can remember being very nervous on the opening performance night, it helped not knowing anybody in the audience but didn’t detract from my legs trembling or my hands erupting into buckets of sweat. However as soon as I was on stage it seemed to disappear and when people applauded after my solo songs it gave me such an adrenaline buzz. Maybe getting tonsillitis was part of his revenge… I’ll never know.